This sequel to Christopher Hart's popular coloring book, The Manga Artist's Coloring Book: Girl Power!, offers another exciting collection of manga's most popular female characters to color. Intricate backgrounds accompany each character to make for a fun and challenging coloring experience, and all pages are printed single sided on quality stock to allow for the use of most coloring materials. 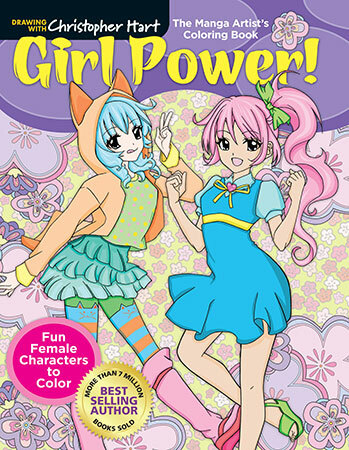 Great for coloring enthusiasts as well as manga artists who want to play with color and character development, The Manga Artist's Coloring Book: Girl Power! is a perfect follow-up for all fans of coloring and manga. Paperback • 8.5 x 10.875"